I am particularly thankful to my peers for nominating me for inclusion in this years list. There are some IP superstars and industry recognized names on the list, so I am quite honored to be included. Recognition like this, after 15+ years of evangelizing and leading the business side of IP, is appreciated after all the work I have accomplished to date. From discussions with others I have surmised that only a small number of new people were added to the list in 2014, only 5 new individuals added from Canada, being listed along side the “IP A-players” of my industry is actually quite the professional complement. When I look through the list in 2014, I see a common thread: Individuals who are leaders in their field, taking the holistic approach to management and value creation, focusing on how both must be aligned to the overall business strategy. They each view IP from the business view, and not just a legal consideration or “patent count to acquire”. Since founding Northworks IP I receive at least 2 or 3 queries per year about being on a “top 100” list, only to be accompanied by an invoice. The IAM listing is quite different and based solely on the individuals skills and accomplishments, with those on the listing not paying to be included – All had to be nominated by at least 3 peers and then all those nominated still went through a review process with IAM researchers, with the editor noting that many nominees did not make it through the final selection process. My congratulations to all those that are on the list in 2014. About the IAM Strategists 300: Over the course of five months, IAM researchers spoke to a wide range of leading IP professionals in order to identify people considered to be world-class IP strategists: men and women whose business is the creation, development and deployment of strategies that enable IP rights owners to gain maximum value from their portfolios. 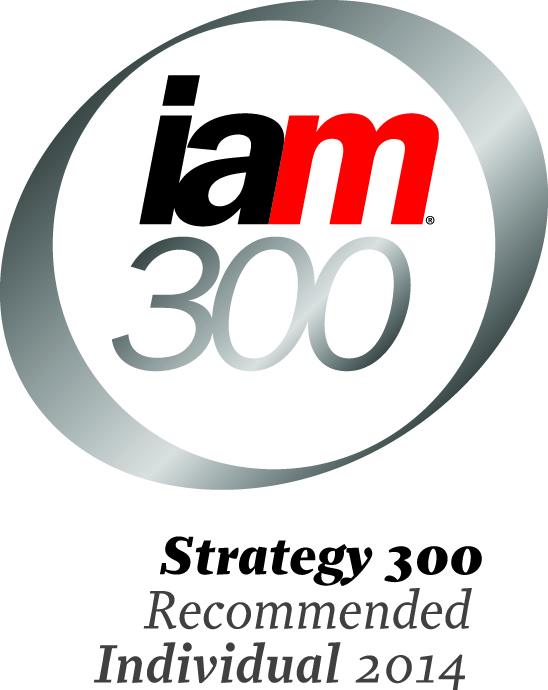 Only those individuals considered and nominated by their peers to be outstanding IP strategists are listed in the IAM Strategy 300. The IAM Strategy 300 is available in printed format and online at www.iam-magazine.com/strategy300.